Mt. Lebanon Police Association » Blog Archive » Come join the fun! Founded in 1973, the Mt. Lebanon Police Association's primary mission is to promote charitable, educational, and social endeavors that advance the interests of the community and police work as a profession. The Mt. 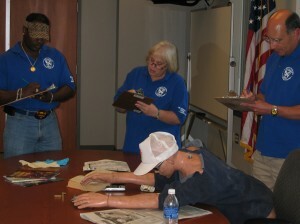 Lebanon Police Department is currently taking applications for its 2011 Citizens’ Police Academy. Learn about how your Department works and have some fun in the process. You can download an application from the MLPD website, under Upcoming Events (start by using the link at the right of this post). Hurry, the deadline is fast approaching!! !